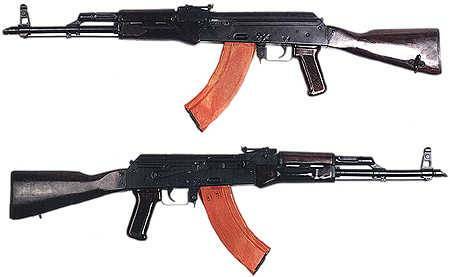 Note the wooden parts: They do not look like they were made in with cheap wood like the USSR AKs; this looks more like ebony, or some other wood material. (It is actually made from varnished ammo crate wood. The fore-ends look like the MPiKS. The magazines are made in Russia.